Before I became active in competitive dog sports (an all consuming addiction that derailed a number of other projects ***). I attended a lot of science fiction conventions and had a art print and stationary company called "Sleepy Lion Graphics". I had a partner who took care of packaging and selling while I took care of creating the art work and managing production of the product. It was a good partnership because dealing with the selling end of things was generally lethal to my ability to create while Scott was not an artist but a business person. Eventually Scott moved off to Ohio and I went back to graduate school and Sleepy Lion Graphics went to sleep as it were. 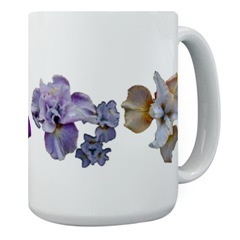 Recently I have discovered some on line production and shipping companies such as CafePress.com and Zazzle.com. These seem to offer me the opprotunity to sell my artwork again without having to face the lethal problem of marketing (packaging and shipping). So I am going to experiment with creation of items through these online companies. I have a large inventory of graphic designs left over from the Sleepy Lion days as well as a collection of photographic images from our Borzoi hobby and my current work creating a website for Sans Souci Iris Nursery in Monkton, Maryland. I also think I am going to start going to science fiction conventions again. Borzoi theme Graphic Products to support www.BorzoiPedigree.info a website offering information about the heritage of the Borzoi breed of dog. 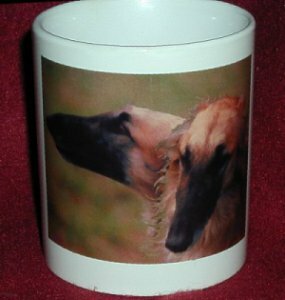 BorzoiImages at CafePress.com contains a variety of Borzoi images on products. 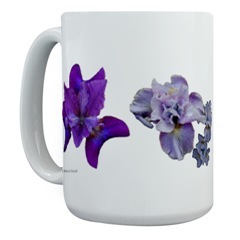 IrisesGalore at CafePress.com contains products with pictures of Irises. * Yes, at a real accredited medical school (Howard University) and a real accredited college of veterinary medicine (University of Pennsylvania) until someone in the administration at the latter figured out that my life time ambition was to stay in graduate school and terminated my long term project. Basically I like to teach and I hate writing grant proposals. The grim truth is that, I had finished my degree and landed a job as a PhD in Anatomy, Paleontology or a related field, then I would have also graduated into the position of having to write grants to keep my job, not teach or do exhibit design**. ** This would even be the case if I got a job with a Natural History Museum, how do you think they are able to stay open? NetPet Magazine An online Dog Encyclopedia. Inactive for new articles but has many useful articles. Sans Souci Iris Nursery. Gorgeous flowers growing in Monkton, Maryland! Here are samples of my current CafePress.com Products with links to the CafePress.com stores where they can be purchased. Borzoi head study of Sox, bred by Pam Mayberry. Borzoi head study of Tersai a white Borzoi from Russia owned by Bonnie Dalzell. Borzoi study in cuteness, the black Borzoi Barnabas with his stuffed crab toy. Barnabas was owned by Bonnie Dalzell. 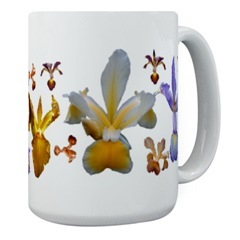 Beardless Siberian Irises on a large mug at Cafepress.com/IrisesGalore. 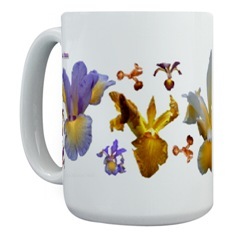 Beardless Spuria Irises on a large mug at Cafepress.com/SpuriaIris.